In your application you can choose to leave your college choice ‘open’ or declare a college preference: it will have no impact on our department’s academic selection process and decision to offer you a place. Not every college takes Education students, so make sure you check on the Admissions website to see which accepts students for your course. Not all the older mixed colleges (those that admit both undergraduates and graduates) take Education students. Of the thirty ‘mixed’ colleges, half accept applications for some or all of our courses: Brasenose, Exeter, Harris Manchester, Jesus, LMH, New, Pembroke, Regents Park, St Anne’s, St Catherine’s, St Edmund Hall, St Hilda’s, St Hugh’s, St Peter’s, Trinity, Wolfson and Worcester. Each has its own history: they vary widely in size, wealth and outlook. Many of these colleges now have significant numbers of graduate students in their MCR (Middle Common Room), but they all take undergraduate education very seriously, and most of their ‘Fellows’ will be involved in undergraduate tutorial teaching. Probably the majority of Education students choose to apply to – or get allocated to – one of the graduate colleges: St Antonys, Linacre, Green Templeton, St Cross, Kellogg and Wolfson. 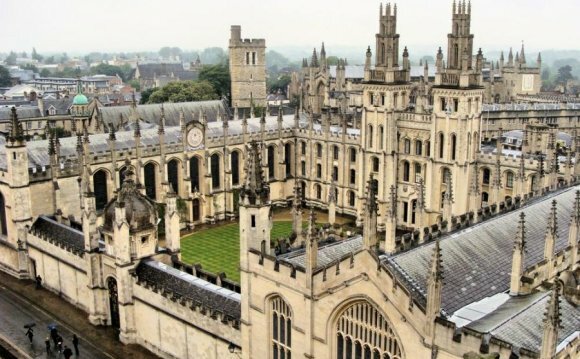 They are still Oxford’s newcomers, and most exude a secular and cosmopolitan informality. St Antonys is the home of a number of Area Studies centres, whilst Kellogg places particular emphasis on supporting part-time as well as full time students. Each has its own strengths and character, and much can be learnt from the colleges’ websites about their day-to-day life. Nuffield does not take Education students. Some Education students are members of St Stephen’s House, a Permanent Private Hall of the University. St Stephen’s House is an Anglican theological foundation, and as well as training Ordinands also now takes a number of PGCE and Higher Degree students each year. It offers a quiet and supportive environment that particularly appeals to mature students. Each college has its own atmosphere and identity, and as your college is an important part of your experience here, it would be worth spending some time looking at their websites and finding out more about those that appeal. If you have strong feelings, it would be wise to declare a preference, or to ask some current students for their views. If you decide to leave your choice open, you will be allocated a college by Graduate Admissions. All the colleges make student welfare a priority and will do all they can to provide a strong and supportive academic and social community for you during your time in Oxford. Wherever you end up, you are likely to soon feel at home and develop a strong loyalty to your college. This is a list of all current Heads of Houses of Colleges, Permanent Private Halls, and Recognised Independent Centres of the University of Oxford.